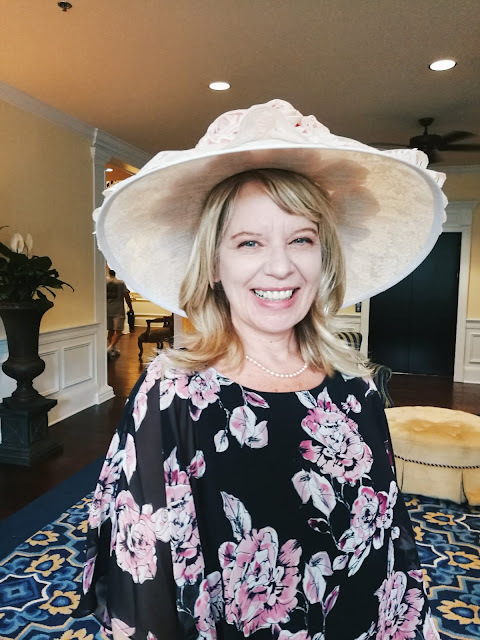 This morning started off with carriages and English tea. I woke up before my alarm even went off, I was so eager to watch the Royal wedding. I’ve been looking forward to this for a month! You can say I’m a bit obsessed with the Royals. Her dress was gorgeous on her. 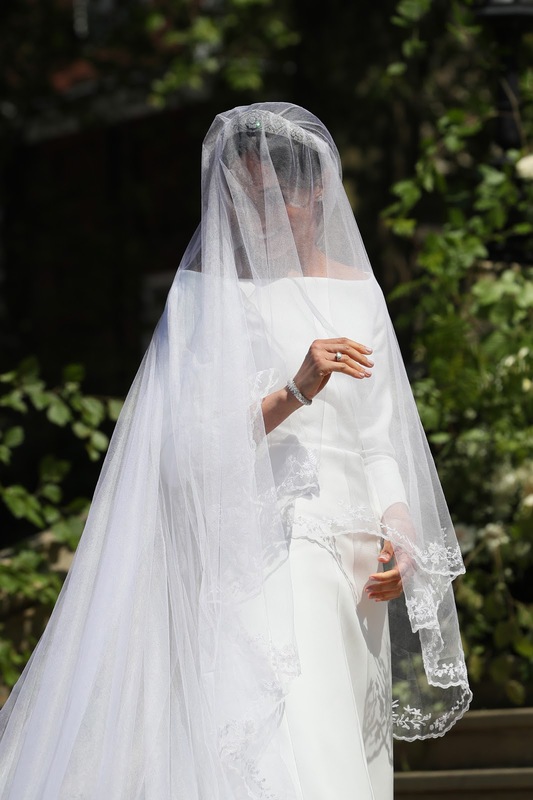 At first, a little plain, but you could tell that she didn’t need anything frilly or extra to be beautiful. 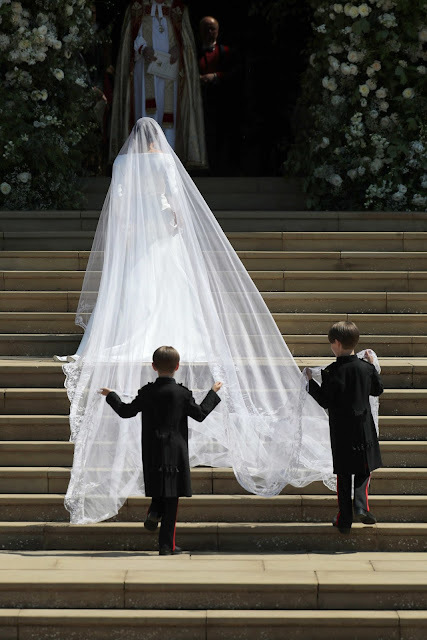 The veil, (which was 16-feet long) was absolutely stunning. I would definitely trip or end up rolling down those steps. 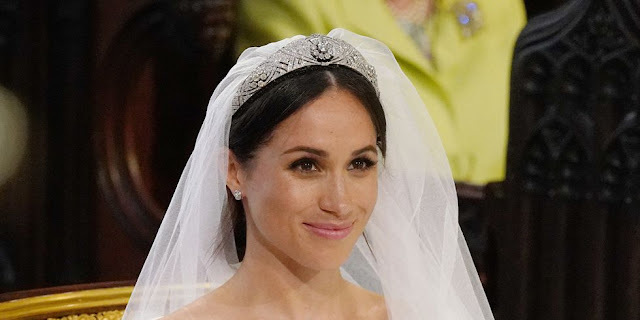 Kudos to Meghan! 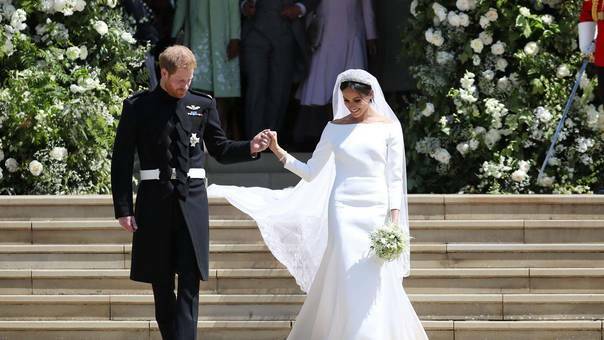 Here are the Duke and Duchess of Sussex after the ceremony. By tradition, male members of the Royal family receive a title from the monarch on their wedding day. The title of Duke of Sussex has always been regarded as the most likely choice for Prince Harry. Her eyes were the main beauty focus. She wore a smoky gray eyeshadow and bold, fluttery lashes, with brows that were outlined to fit her face. 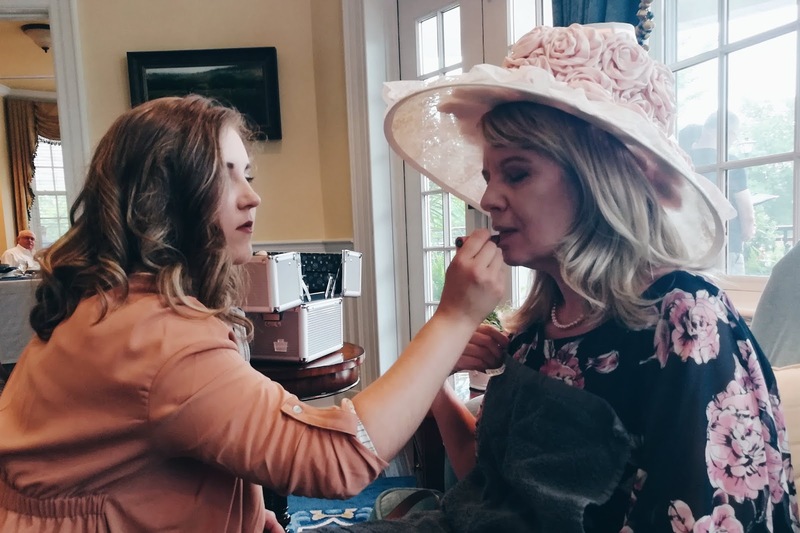 Not only did I get to celebrate a Royal wedding today, but put makeup on one of my favorite Authors, Laura Frantz. (Check out her website!) 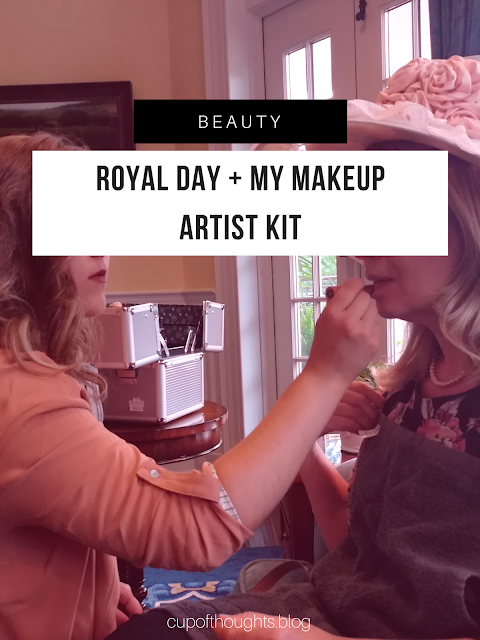 She asked me to do her makeup for a Royal Tea Party! I went with a natural look with a feminine touch of elegance. The Clinique moisturizer gives a slightly dewy look since I was going to use a powder foundation I knew it would balance out on her skin. The color correcting concealer was used under her eyes. For her eyes, I used the shade “Rich Girl” in my Morphe 9C palette. Which I then blended in with Urban Decay’s “Blow” shade.